Dubai remained a prominent place in UAE, Middle East and the Gulf region as an attraction for tourists from around the world. Tourists from east and west visit this beautiful place every year in large number. These numbers are increasing with every passing year. In past few years, Dubai has managed to attract more visitors from different parts of the world with the construction of new and amazing structures (parks, hotels, skyscrapers etc.) and by introducing new incentives for tourists. People of all nationalities are among the tourists that visit Dubai. But the most prominent ones are Chinese. According to a latest report, the number of Chinese tourists in Dubai has increases markedly in last 3 years. According to reports, the growth of Chinese visitors in Dubai has increased 119% since 2014. The year on year old in Chinese tourists is also remarkable. As compared to 2016, the percentage of visitors from China has increased to 41.4% in 2017. There are also clear signs that this growth pattern will remain continue for the current year 2018. In just the initial five months of 2018, more than 400,000 Chinese visited Dubai. 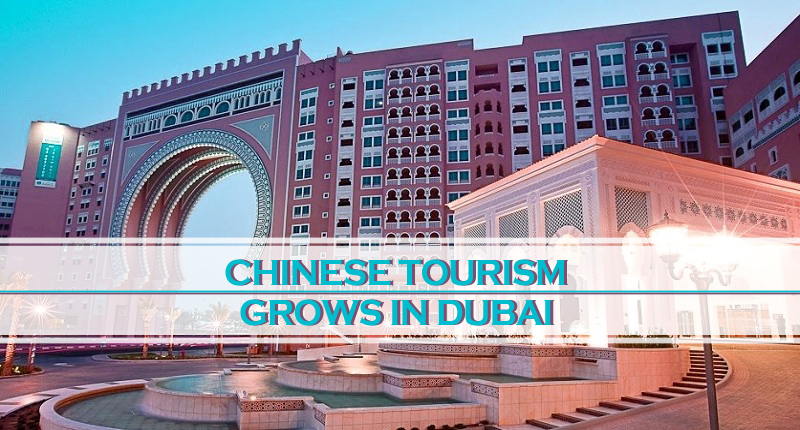 According to DG Dubai Tourism, Helal Saeed Almarri, their government is taking several steps to increase tourists from China. This includes visa on arrival for Chinese citizens in 2016 and increase in flights from China. Currently, they are having 30 flights per week from China which is 17% more as compared to 2017. This has also increased number of Chinese tourists in Dubai. Few other important steps include an agreement with Huawei (Chinese leading smartphone manufacturer) to provide user-generated and official content of Dubai, signing MoU with Fliggy (online travel platform of Alibaba) and strategic partnership with Tencent (China’s internet conglomerate) in order to place Dubai as preferred destination for Chinese visitors. All these and other major steps have increased Chinese travels to Dubai several folds in past three years and there are bright chances that this pattern will continue in coming years. Targeting Chinese market for tourism is a very wise step by emirate of UAE. Only in 2017, 129 million outbound trips from China were recorded. It is highest by any country. This is really fantastic news for tourism industry and the trend will likely to continue in future. If you are a Chinese visitor or a company related to tourism industry, then we can assist you by providing travel visa services in Dubai and trade license in Dubai. Not Just Tourists from China, Dubai has a charismatic ability to impress people and bring them in from every part of the world. Especially after the vision implementation of Current King, it’s easy to attract people, and bring them in.